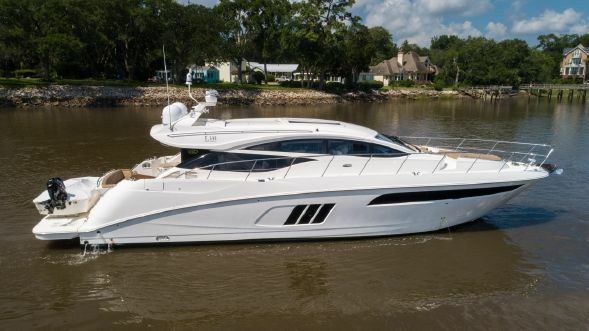 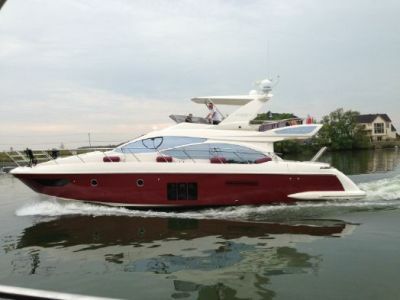 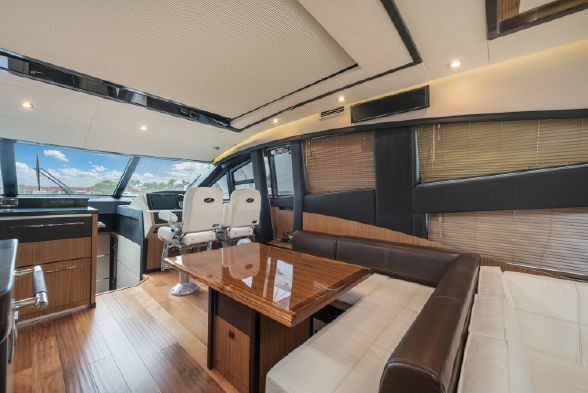 This is a 2016 L650 Sea Ray Express, that offers a four stateroom layout with three heads and crew quarters. 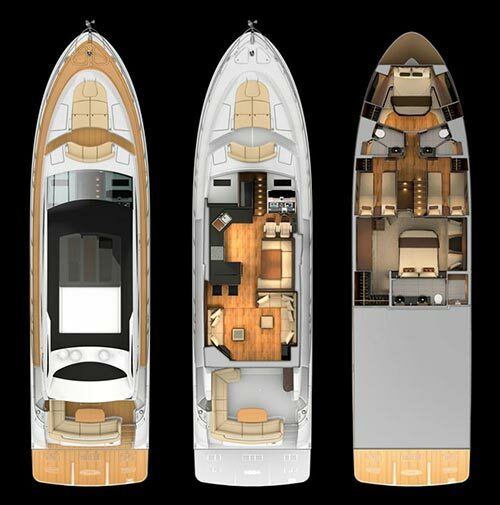 Her mid-ship master is full beam making it very spacious for a yacht of her size. 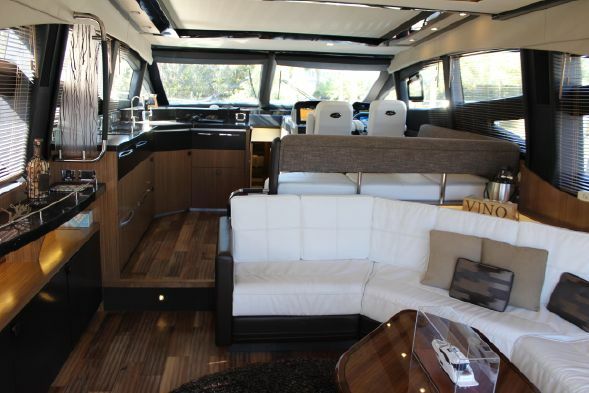 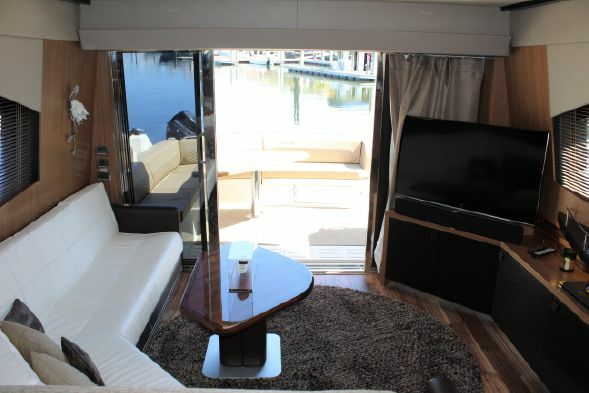 Her bow has great seating and the perfect area for sunbathing and entertaining. 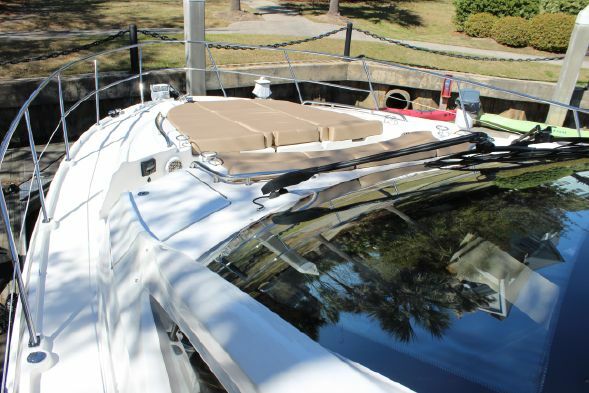 He is a must see and is ready for cruising. 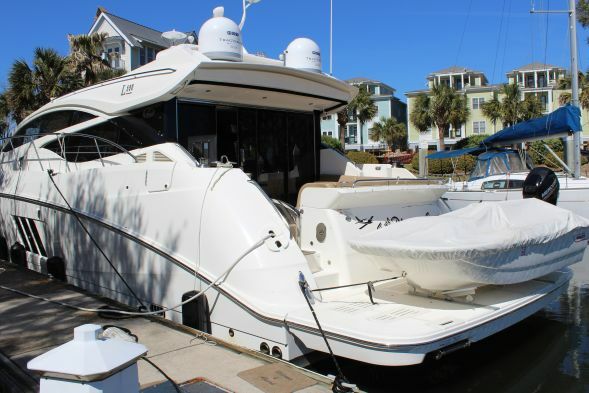 This Searay is located in South Carolina, please contact us at 541-521-1221 for all details. 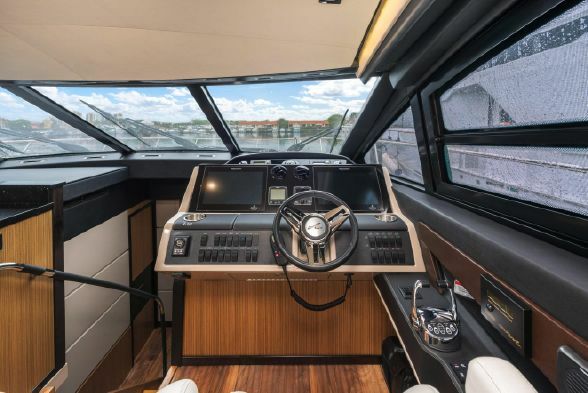 This is a 2016 L650 Sea Ray Express, that offers a four stateroom layout with three heads and crew quarters. 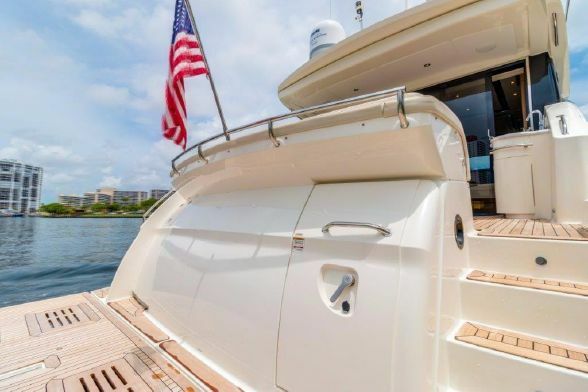 The aft deck features ample seating, grill and an electronic awning that offers ample abundant shade. 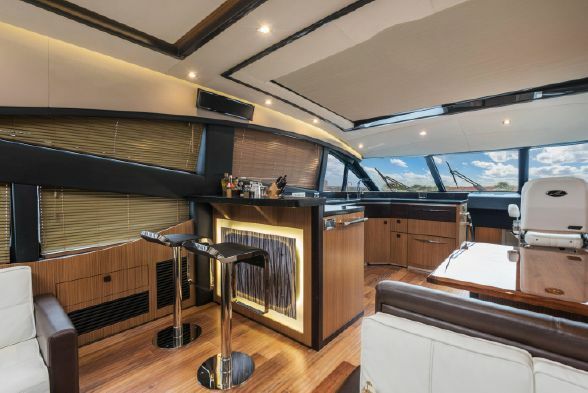 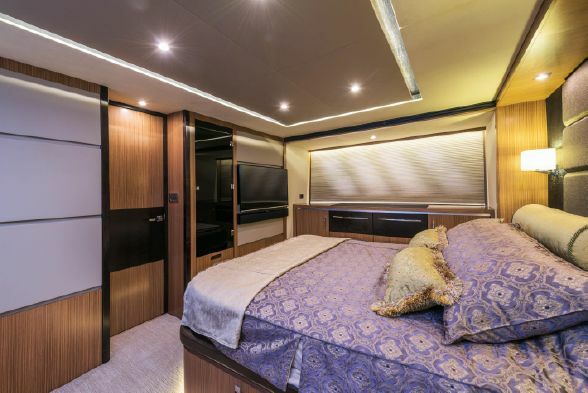 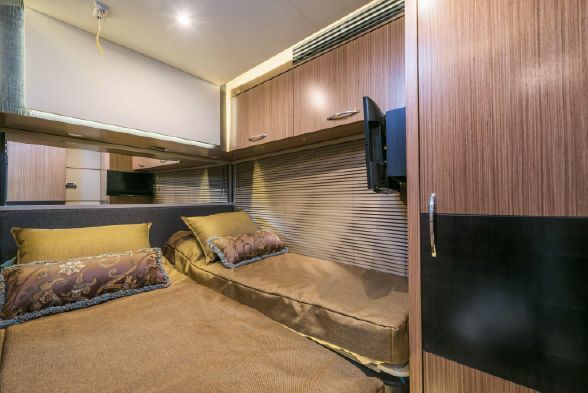 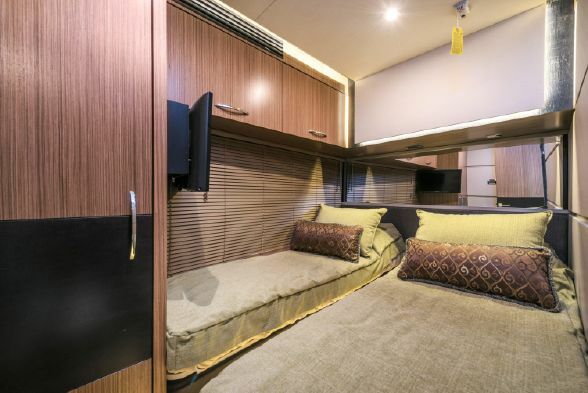 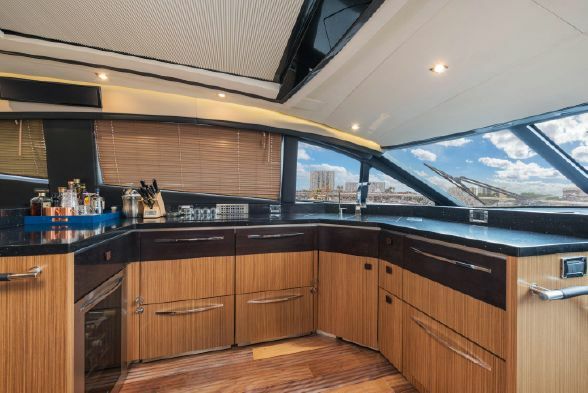 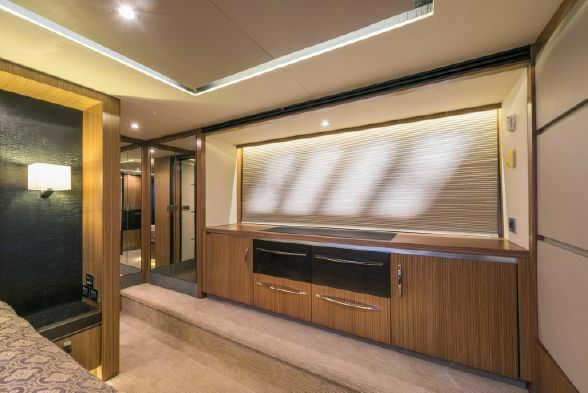 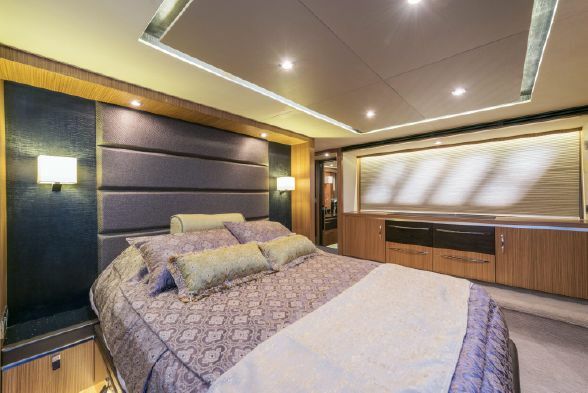 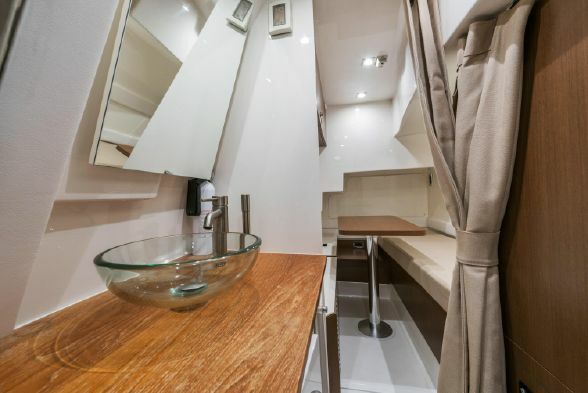 The salon is accessed by a large tri-panel sliding door which opens into a spacious area with a high dome ceiling.Just forward of the salon, the galley is located port side and offers a wine refrigerator, dish washer, refrigerator and freezer with ice maker. 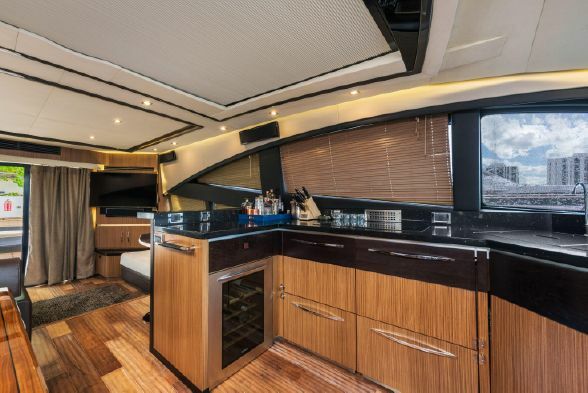 Across from the galley is a large dinette table with under table storage. 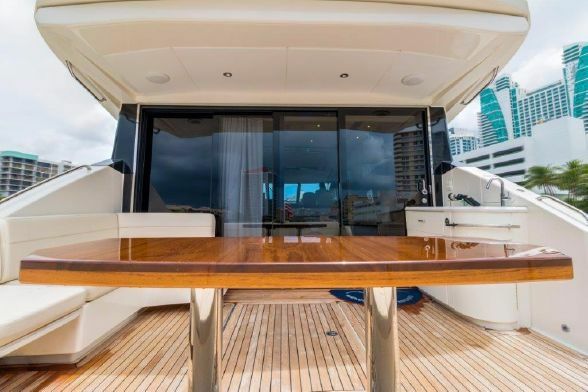 The lower helm is positioned just forward of the dinette and offers Stidd chairs for the captain and his first mate. 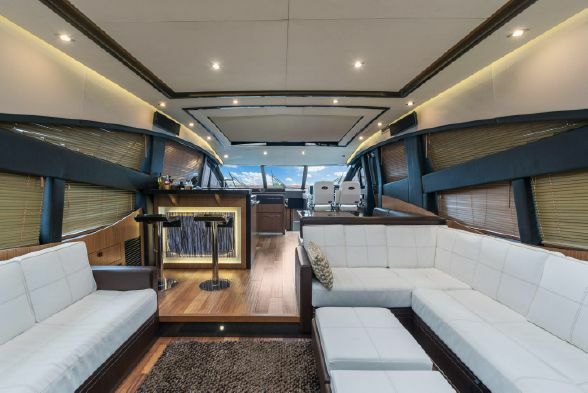 The mid-ship master is full beam making it very spacious for a yacht this size. 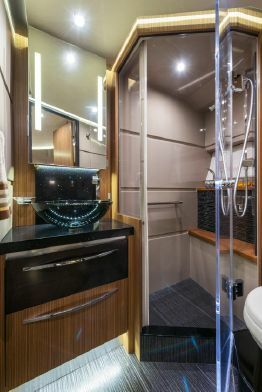 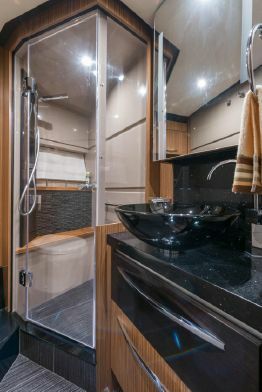 The master head features dual sinks and a large walk-in shower. 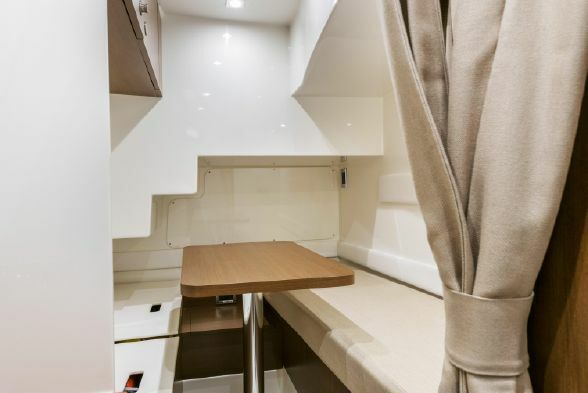 Just forward of the master is a guest stateroom to the port and modified starboard guest stateroom that offers additional storage, pantry and pull drawer refrigerators. 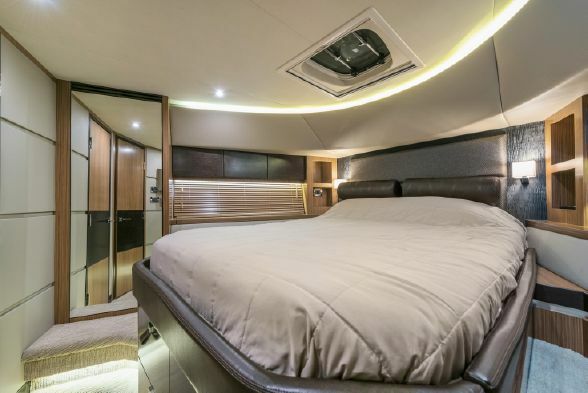 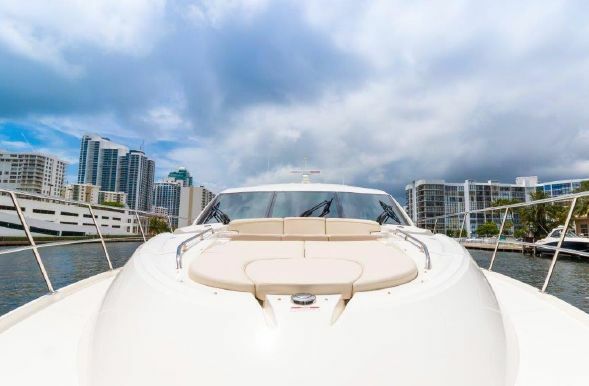 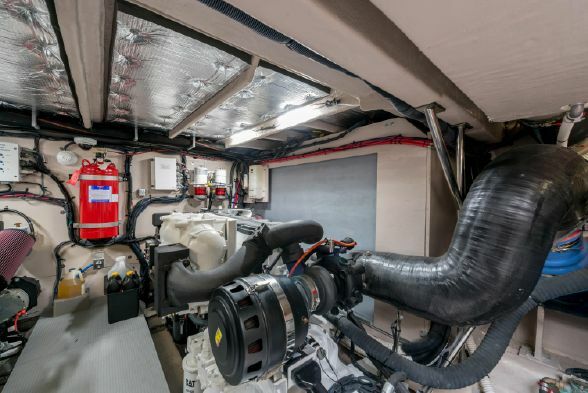 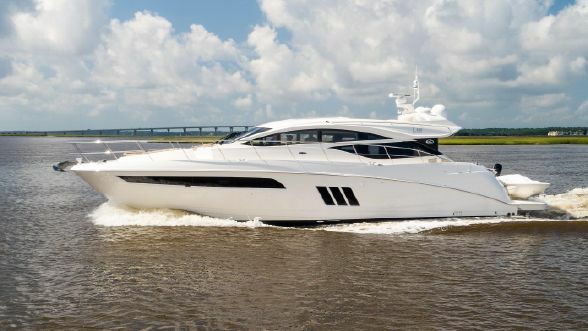 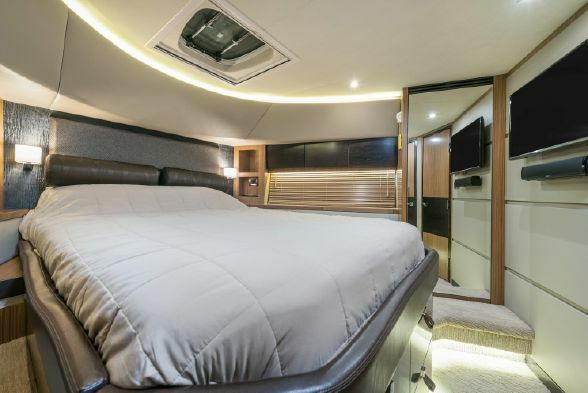 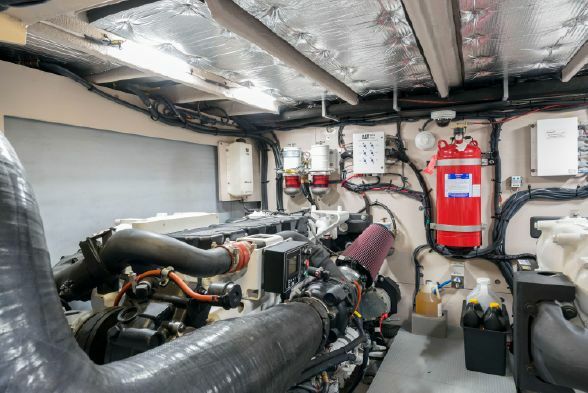 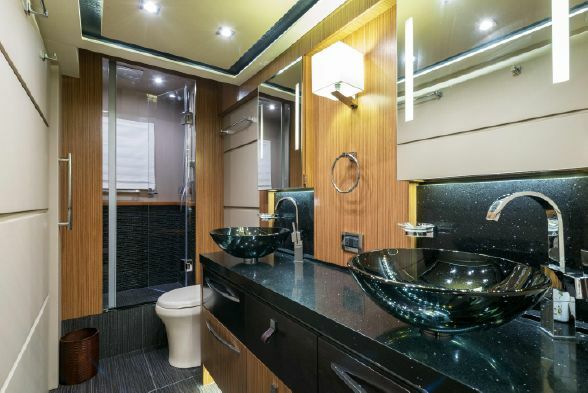 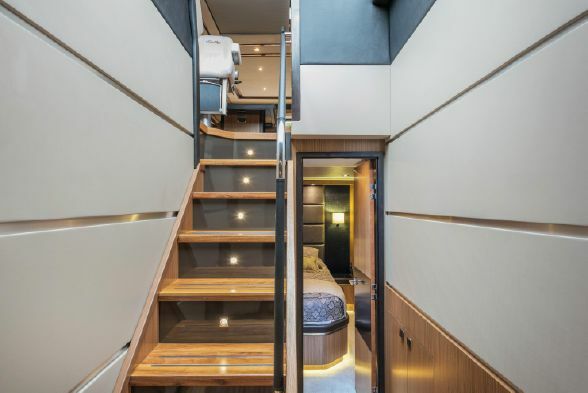 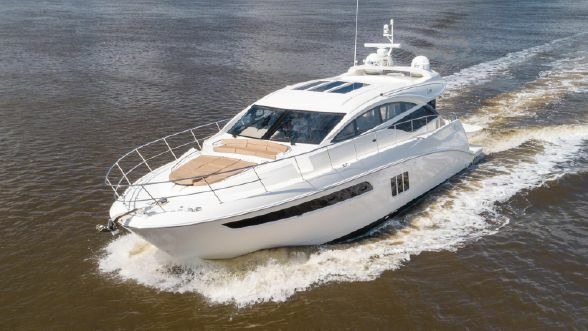 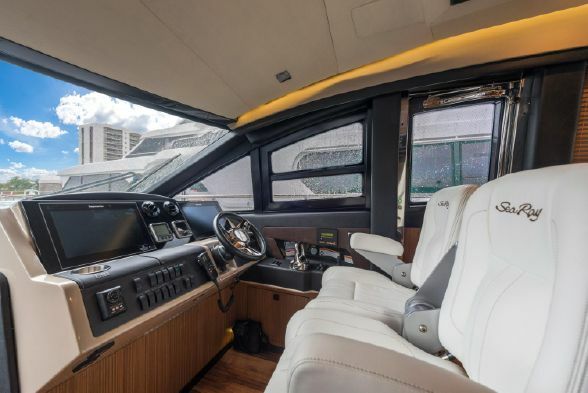 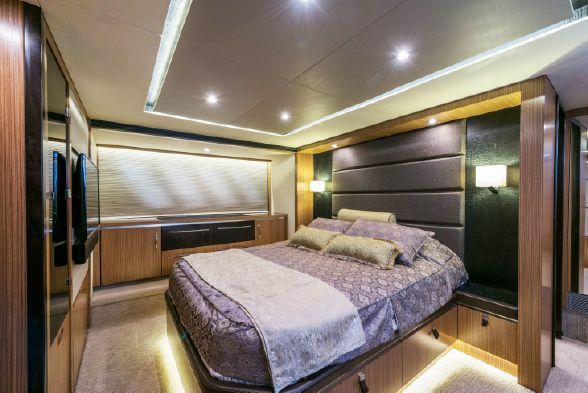 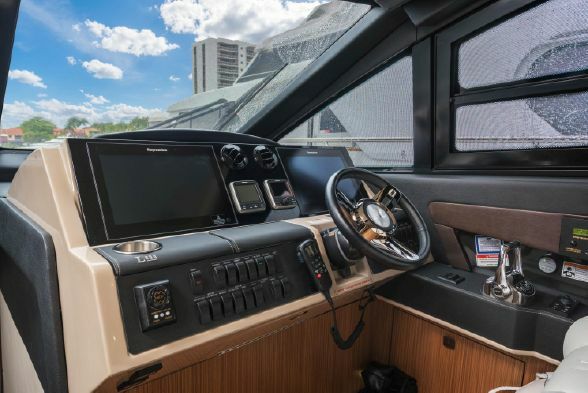 The VIP stateroom is located in the bow with its own private head.The yacht is powered by twin 1150hp Caterpillar C18 engines and a single 29kw Onan generator. 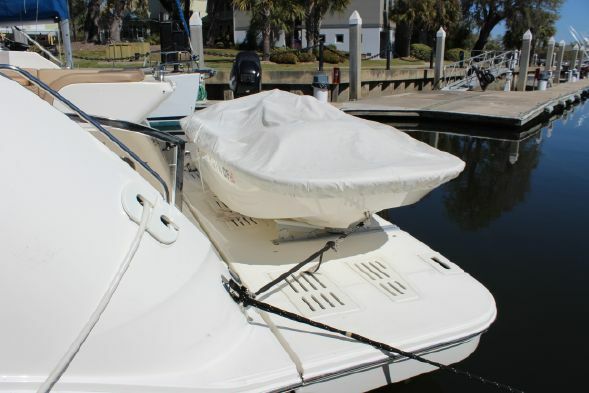 The twin SeaKeeper system keeps the yacht stable even at rest. 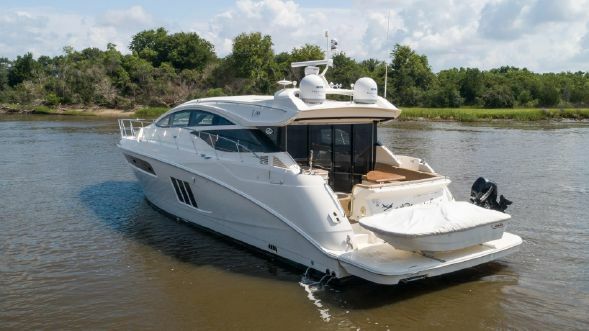 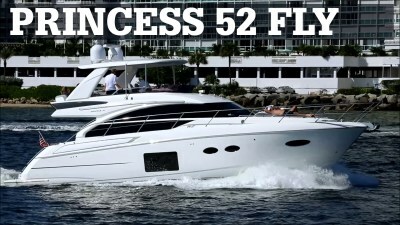 The yacht has a hydraulic swim platform for jet skis or a small hard bottom inflatable. 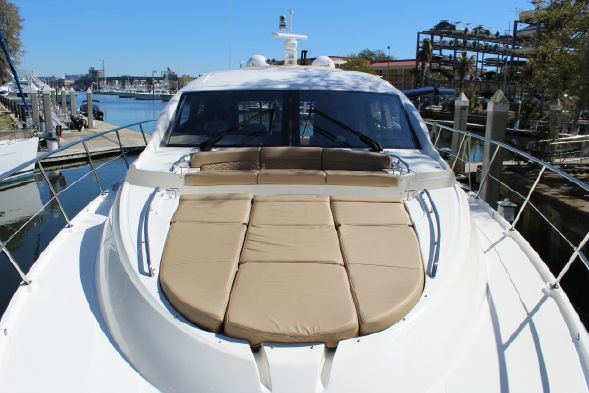 The yacht bow has great seating and the perfect area for sunbathing. 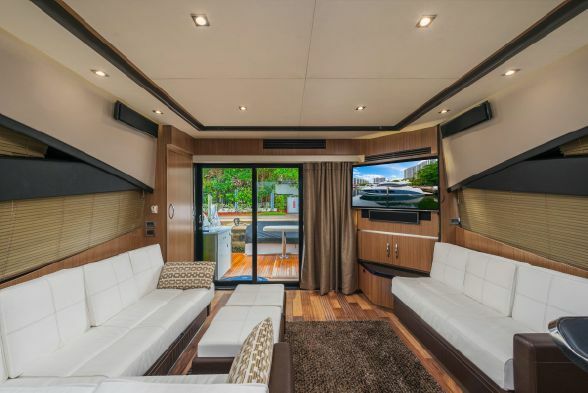 The half-moon seating makes this area perfect for entertaining.